Congratulations! 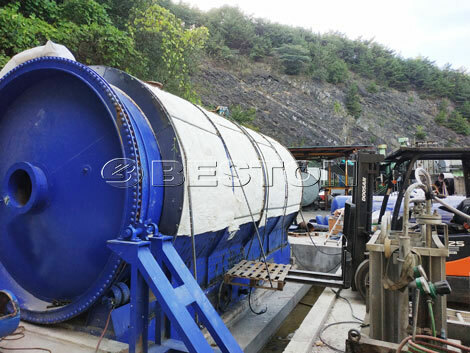 A set of BLJ-16 pyrolysis plant manufactured by Beston Machinery was installed in South Korea successfully. After installing, we adopted commissioning test to guarantee the smooth working of the plant. The customer was satisfied with our one-stop service, such as manufacturing, delivery, installing and so on. Like South Africa, there are a large amount of waste tires and used plastic in most countries. How to deal with them? How to turn them into useful resources? Many environmentalists pay attention to these questions. 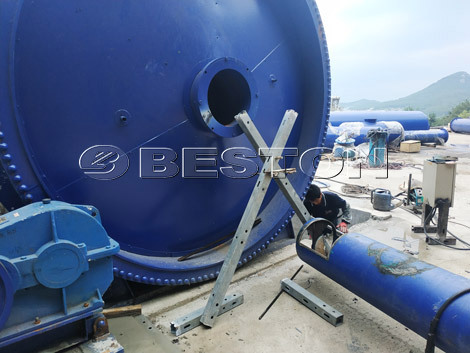 In fact, BLJ-16 tyre pyrolysis plant in South Korea manufactured by our factory can dispose of the waste plastic and waste tire into fuel oil and carbon black. We have exported lots sets of pyrolysis plants to many countries. From the feedback, we know that these plants play an important role in recycling waste tire and plastic indeed. Therefore, if you also want to deal with waste plastic and waste tire, contact us now! 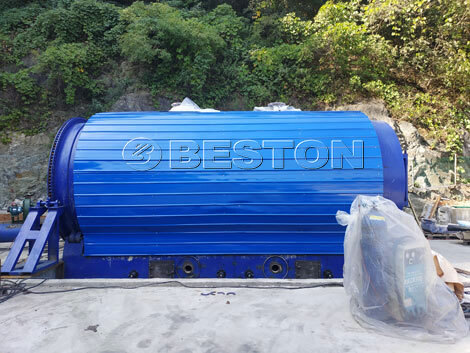 Beston Machinery can supply you four models of the waste tire/ plastic pyrolysis plants: BLJ-6, BLJ-10, BLJ-16, BLL-20. You can tell us your demand. We will recommend you an appropriate machine. 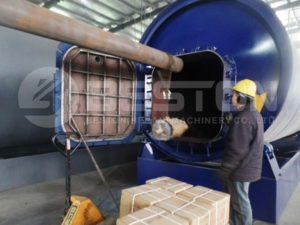 Certainly, if you want to know more details about BLL-16 tyre pyrolysis plant in South Korea, just let us know. We will reply you as soon as possible.